This Boone Trail Highway marker is a Style-1 tablet on display in the Henderson County Heritage Museum. The steel Style-1 tablet was primarily used from 1917 through 1921 and is normally distinguished by the lack of any Boone Trail Highway caption. 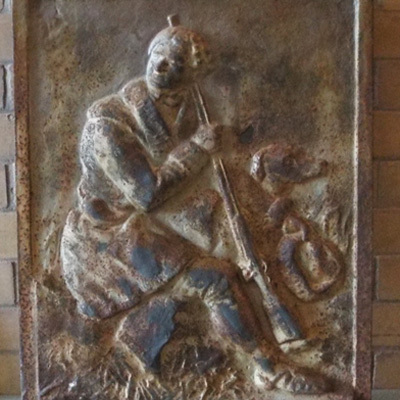 It contains an image in relief taken from Alonzo Chapel’s 1861 illustration of Daniel Boone and his hunting dog. It was originally attached to a pyramid shaped structure of local stone. The structure which stood at the southeast corner of the Henderson County Courthouse was dismantled when the building was remodeled in 2005. This Boone Highway marker was numbered 34 by Everett G. Marshall. His interest and research of the markers led to the book, Rich Man, Daniel Boone. The numbering system was simply the order in which he found or became aware of a marker. The tablet can be found in the Henderson County Heritage Museum (Old Henderson County Courthouse) at 1 Historic Courthouse Square, Hendersonville NC. Several monuments stand on the courthouse building grounds, including Revolutionary Soldiers Memorial, Union Soldiers Monument, War Memorial, World War I, World War II, Korean War, Confederate Soldier Memorial, Vietnam War, Gulf War, Iraq and Afghanistan monuments. The memorial tablet was originally attached to a stone structure outside of the old courthouse which now houses the Henderson County Heritage Museum. 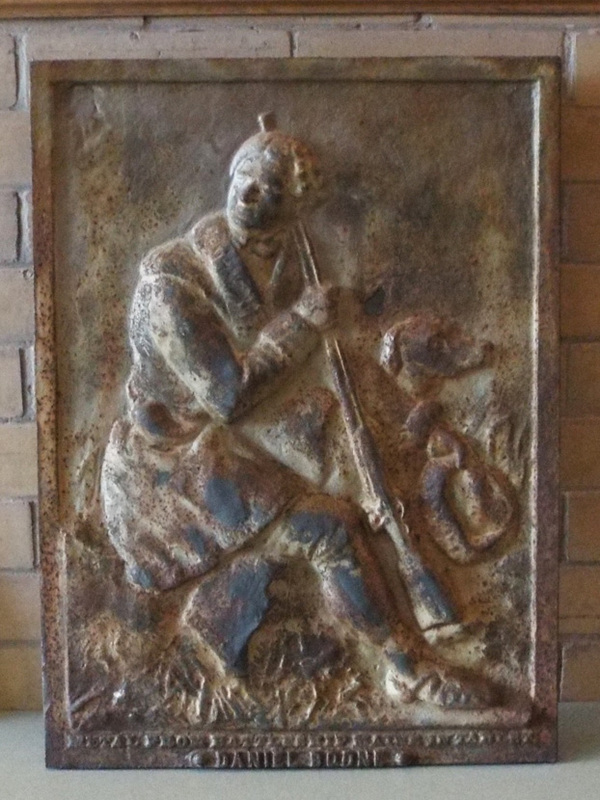 The Boone Highway tablet was moved to an inside display when the courthouse was remodeled in 2005.